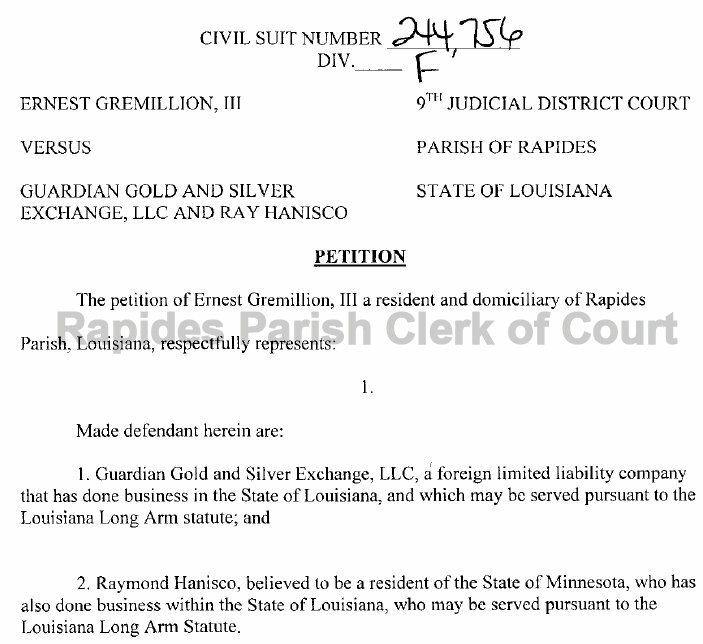 according to the petition, ernest gremillion, iii, is a rare coin collector who purchased some coins from guardian gold and silver exchange, llc., and raymond hanisco for $87,539.98. however, mr. gremillion claims that the coins he bought "were not as represented and/or did not constitute a complete set." 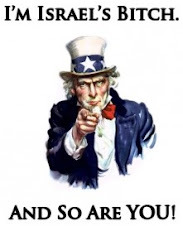 so he is having a little trouble getting a refund. 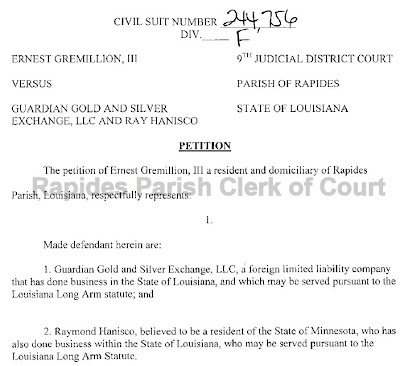 the petition is filed on mr. gremillion's behalf by alexandria, la., attorney james b. reichman, esq., of the reichman law firm and is allotted to ninth judicial district court judge george c. metoyer, jr.